Africa Travel Week is ready to welcome the world! With just one week to go until it’s opening, Africa Travel Week is set to welcome more travel professionals than it did in 2016. Attendees are set to arrive from around the world including esteemed buyers, tour operators, tourism products, local outbound travel agents and destination marketing organisations. 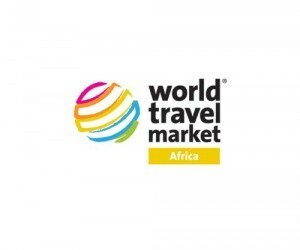 As the only travel trade show dedicated to showcasing technology in travel, Marchesi says that a major highlight for WTM Africa 2017 is the dedicated talks and discussions planned for its Travel Tech Show, while specialists in outbound travel can look forward to learning how to better package and sell popular destinations in the NEW Outbound Conference Theatre.Representing a powerful cross-section of the business events industry in Africa, the panel of speakers announced for ibtm africa 2017 will also work through topical trends, insightful case studies and reports on how this industry is evolving on the African continent. Marchesi furthers: “We are proud to not only share what promises to be an impelling programme on 20 and 21 April 2017, but a panel of speakers that will provide insights and impart knowledge that can further develop this industry in the coming years.” With regards to the luxury travel sector, over $1.5m of business was known to have been generated from ILTM Africa. “With over 60% of this year’s buyers new to ILTM Africa, we are hosting them from 30 countries, all of which have been specifically targeted by our exhibitors as relevant to their business. In order to ensure that we have the right brands and experiences to match both parties objectives, our team has also selected a diverse collection of suppliers to participate in this year’s event”. Said Gareth Baguley, Event Manager for ILTM Africa. Highlights of new participants this year include: The Blue Train, Morukuru Family, Grootbos Private Nature Reserve, Amakhala Game Reserve, Freewalker Adventure Travel, Mala Mala Game Reserve, Makweti Safari Lodge, Melia Serengeti Lodge, Bushtracks Africa, Chitwa Chitwa, Thornybush Luxury Game Lodge Collection, Makanyi Lodge, Mantis Collection, Vineyard Hotel, Rovos Rail and Molori Safari Lodge.